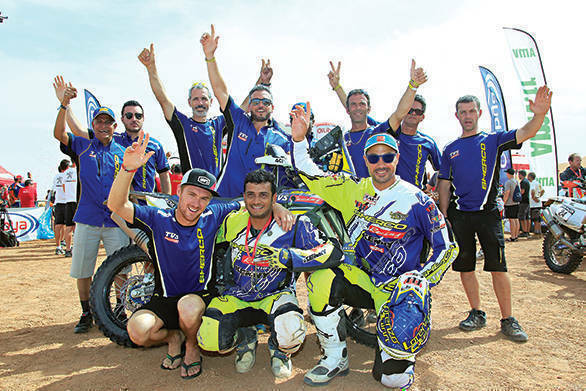 The 39th edition of the Dakar Rally is about to begin today and representing India at the gruelling Rally will be the TVS Sherco Racing Team. They are the only other Indian team, besides debutant Hero MotoSports Team Rally, to participate this year. 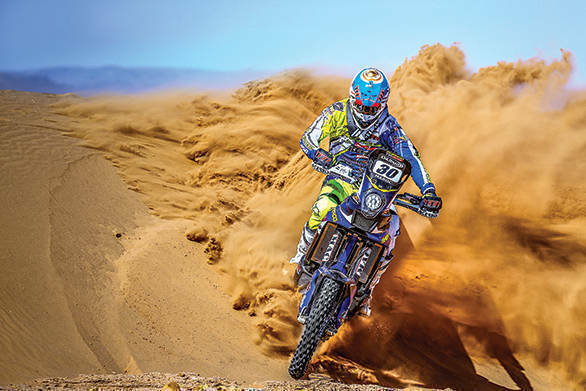 This is the TVS Sherco Racing Team's third outing at the Dakar. The TVS Sheco Racing Team had announced their plans for Dakar 2017 in November, last year. They will be fielding three bikes this year, one of which will be ridden by TVS' star rider, Arvind KP. He will be joined by Baja World Series winner Juan Pedrero Garcia and newbie Adrian Metge. The trio will ride the RTR450 Rally bike which has been developed and manufactured at Sherco Motorcycles. The bike features a multifunctional cockpit that provides information regarding the route and weather conditions. The 52mm front forks have 21mm of travel, isolating the rider from most of the harsh terrain. The bike has four fuel tanks (total fuel capacity is 38 litres), hidden beneath the full carbon-fibre bodywork. Since the Dakar is quite taxing on the machines too, the teams have tried to make the bike as fail proof as possible. For instance, there is a secondary fuel pump, in case the primary goes kaput. 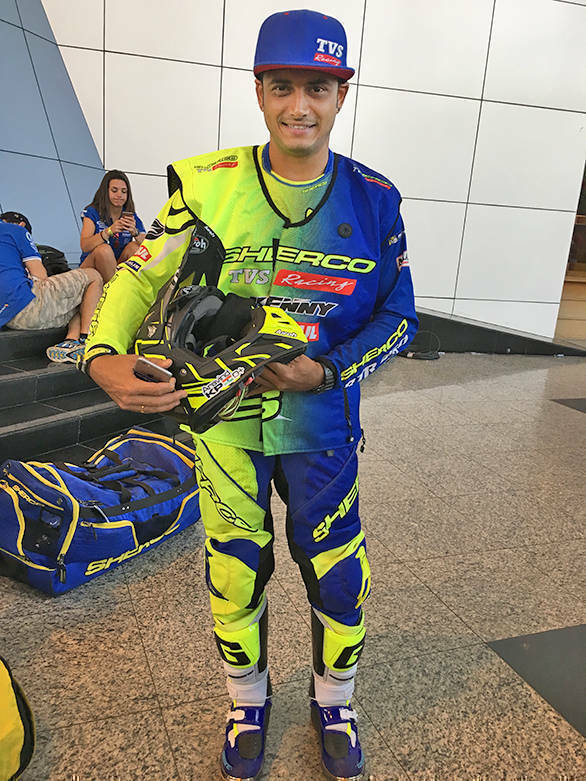 Arvind KP is pretty excited and confident about doing well at the Dakar 2017. Speaking at the ceremonial flag-off on Sunday, he said, "After months of patiently waiting for this day to arrive, it was quite a surreal moment for me to stand there with my motorcycle at the Dakar flagoff ceremony. I am thankful to the entire team at TVS Racing & Sherco who have got me this far. I am looking forward to the first stage, which is a short stage but will help me prepare for tougher stages ahead." The team too are hoping to use the experience that they've garnered over the last two years, to finish all stages and also try and win some stages. They hope to see one or more of their riders slot into the top 10 by the end of Week 1. 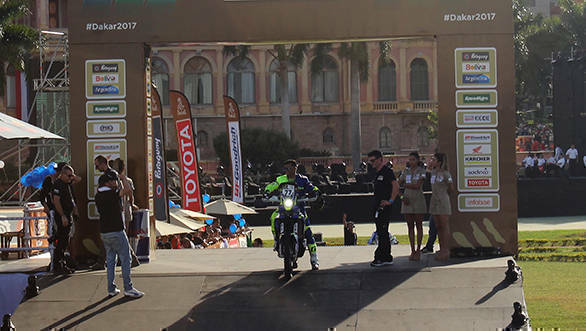 The 2017 Dakar Rally begins from Asuncion, Paraguay, where a total of 318 vehicles will be flagged off. The first stage comprises of 454km from Asuncion to Resistencia, Argentina. Competitors will cover 9,000 kilometres over 12 days. The final stage will be held in Buenos Aires, Argentina.